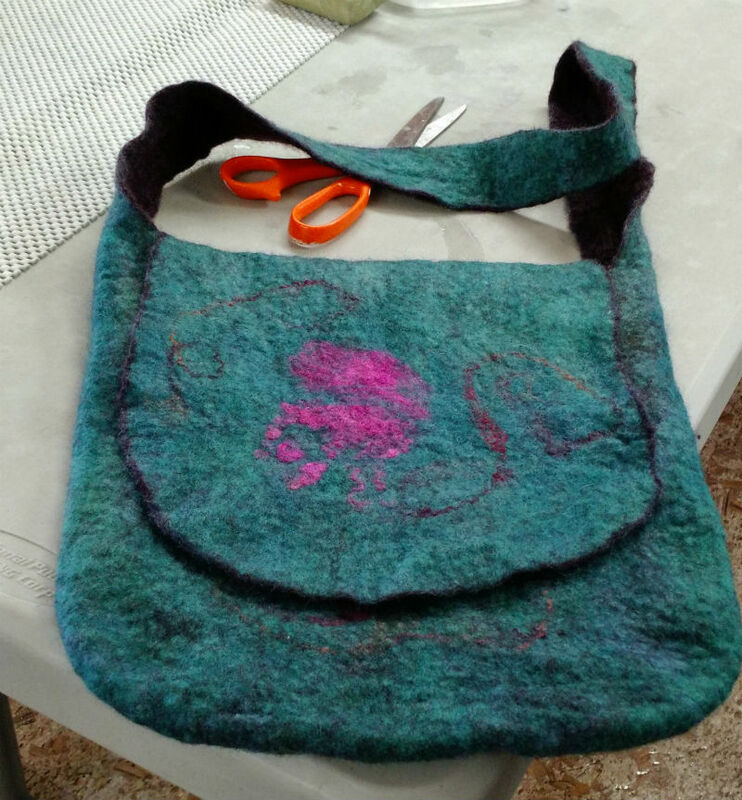 I took a workshop with Carin Engen today on making felted purse. What fun! 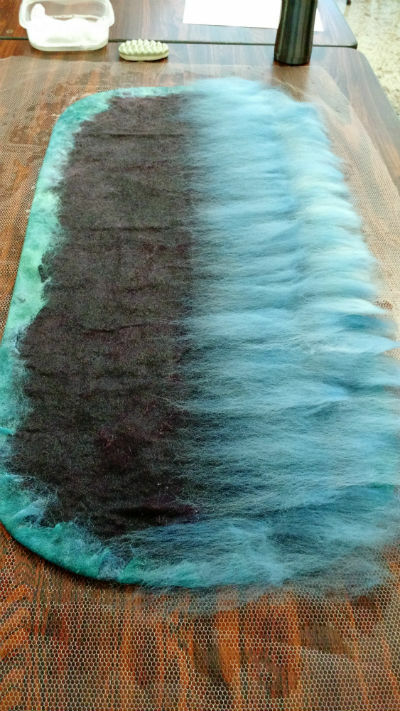 We worked the felt around a template cut from a blue tarp. 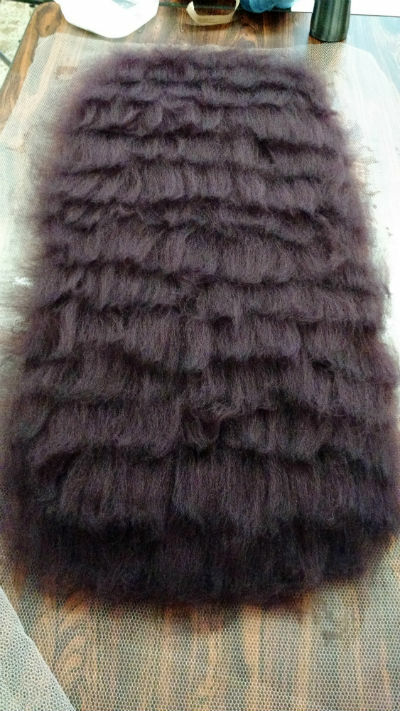 At this point, it looks a bit like Sasquatch pelt. Then we cut out the handle and then the inside cut section becomes the flap. The other flap is folded inside and will be a pocket. The pink design is supposed to be a jelly fish. You may have to squint and use a lot of imagination.